The speculative fiction writing industry is gearing up to recognise some of the best in the business, with numerous awards in various stages of competition. The horror world’s most respected awards are undoubtedly the Bram Stoker Awards and there are several Australians who have been nominated including my co-collaborator on Witch-Hunts, Rocky Wood for his work Stephen King: A Literary Companion, which is up for a best non-fiction work award. Fellow Witch-Hunts scribe Lisa Morton is also up for an award for her collection Monsters of L.A.
Other Aussie contenders include Kaaron Warren (best short fiction) and Jack Dann (best anthology). For the full list of nominees go HERE. 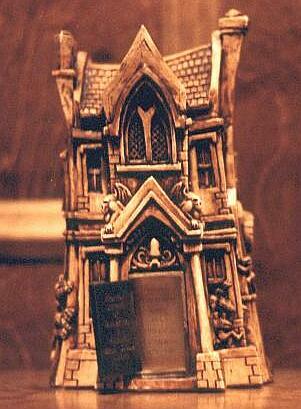 Winners will be announced at the Bram Stoker Awards gala dinner on March 31 in Salt Lake City, Utah. Meanwhile in Australia, the list of nominees for the Aurealis Awards have been announced and can be viewed HERE. The Awards will be presented at a ceremony in Sydney on May 12. The 2012 Ditmar Awards, Australia’s most popular speculative fiction awards, are just entering the nomination process, with anyone “active” in the industry able to vote, regardless of what country they’re in. Both my novella’s “Torment” and “The Noctuary” have made it on the eligibility list in the Best Novella or Novelette category. If you liked my novellas and feel they are deserving of an award, you can vote for them to win by filling out this form. Entries close on Friday April 13, 2012 or Thursday April 12, 2012 for those in Europe or the Americas. If you do vote for my work then I say thank you. Good luck to all those in the running in all of these competitions. The 2011 Bram Stoker Awards were announced in Salt Lake City, Utah on Marh 31. My colleague on Witch-Hunts, Rocky Wood won the Superior Achievement in Non-Fiction for his book, Stephen King: A Literary Companion! Congratulations Rocky! Well deserved!